Female Feats of Strength let the Festivities Begin! 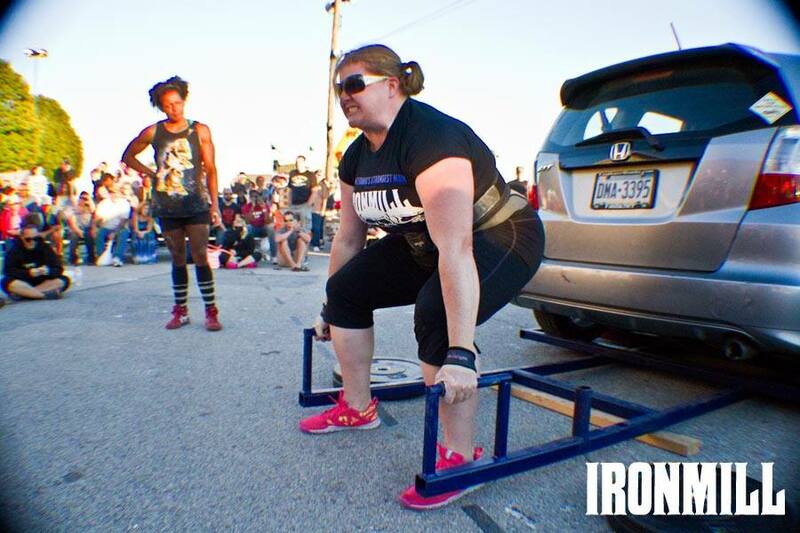 Female feats of strength are an excellent, fun and entertaining demonstration of power and vigor within strong women. Feats of strength, however have been around for a long time and date back to the time of Festivus. A secular holiday celebrated on December 23, which serves as an alternative, to participating in the pressures and commercialism of the Christmas season. Festivus made popular culture during the American Sitcom Seinfield, 1997 “The Strike” episode. Today, however there is so much more to feats of strength than just wrestling! With even females getting in on the action, showing up the guys! What is a feat of Strength? Today, a feat of strength is generally decried as the exhibition of strength performed to the eye for entertainment values. The average person cares little about how much weight you can lift. Yes we understand, all you session wrestler fans beg to differ, however we are talking about the everyday average person here. Without much experience in the art, whether you lift a little or a lot, most people just don’t get the point of lifting weights today and its benefits. Put a car in front of people and lift it, however, you will get a totally different reaction and soon see how amazed people are! This is because strength manifests itself in a number of ways. It does not just have to be conventional or all about squats and dead lifts. Female strength feats, can instead be about pulls, leaps and throws of insane magnitude that makes us pause and take notice. Many feats require more tendon, ligament, joint, and bone strength than your average muscle-focused exercise and perhaps a freak of nature! It’s not just your every day person who can tow a plane. Men especially become amazed if women can perform these feats of strength, as females are typically not meant be as strong as their male counterparts according to everyday stereotypical values. Specific feat of strengths might include lifting heavy barbells in odd ways, muscle control, bending steel & insanely high plyometric jumps to name a few. Here is list of some popular feats of strength. A gym personal best can even be considered a feat of strength to you. Why do men love female feats of Strength? One of the most famously watched feats of strength, ironically takes place over the Christmas holiday period. It is the world’s strongest man/women championships. There are many reasons as to why men love watching female strength feats. There are several benefits to doing female feats of strength; it differs from what you would get from your more conventional workouts. And by “conventional,” we are not just talking about bodybuilding. We are referring to many of the less conventional styles like CrossFit, Bodyweight exercises, and kettlebells. Many of the female strength feats require more tendon, ligament, joint, and bone strength than your average muscle-focused exercise. These tissues are capable of growth; it’s just not very noticeable. When it comes to strength though, they are hugely important. A focus on tissue growth and strength is often missing from most training programs. Many feats of strength focus on hand strength, which today is often a lacking component in many people’s programs. Good grip is key to feats of strength. I often here from many men during sessions, that they good grip on a women, and this is why they particularly love female feats of strength. The mercy test is therefore always a firm favorite. If you become a “strong women”, you can use your strength for various useful purposes in life. Your strength can gain you publicity. For instance if you can bend nails, you can be guaranteed that you will be asked to perform this party piece in front of others for years to come. And so, why not make a living out of it too? Session wrestler ladies do this everyday by wrestling men as a female feat of strength. The really abnormally strong women however are in a league of there own, with their own following, there fans have great admiration for these women and will forever endear to support and follow them for following their passion in life. Such women include session wrestlers, Anna M Strong who can bend steel and Amber deLuca who can overhead press a man weighing up to 50kg. They realize some men’s desire to see these impressive acts in real life and are willing to perform these female feats of strength for you in your very own private session with them. Many fans of strong women have thought of good alternatives to a wrestling match for feats of strength. Arm Wrestling is fun but it usually ends up with each party having sore arms. The Mercy Game and Leg Wrestling have therefore became firm favorites in private session for females to demonstrate feats of strength along with can crushing and fruit crushing if the female is strong enough. Who wouldn’t want to see a lady squeeze a watermelon between her thighs? Surprisingly these are usually a no stress physical activity for the female in question. Just make sure you have a large enough space available! I hope you enjoyed this article, please remember to share the love, subscribe and follow me on my many social media channels. https://www.saralipswrestling.com/wp-content/uploads/2017/01/umm-kim.jpg 600 900 Sara https://www.saralipswrestling.com/wp-content/uploads/2018/01/sara-lips-wrestling-logo.png Sara2017-01-08 16:51:592019-02-02 19:39:34Female Feats of Strength let the Festivities Begin!